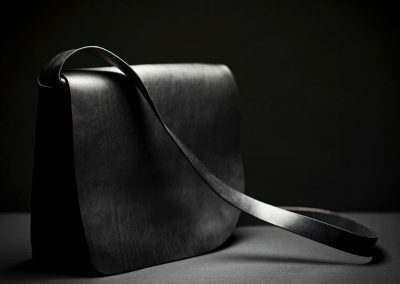 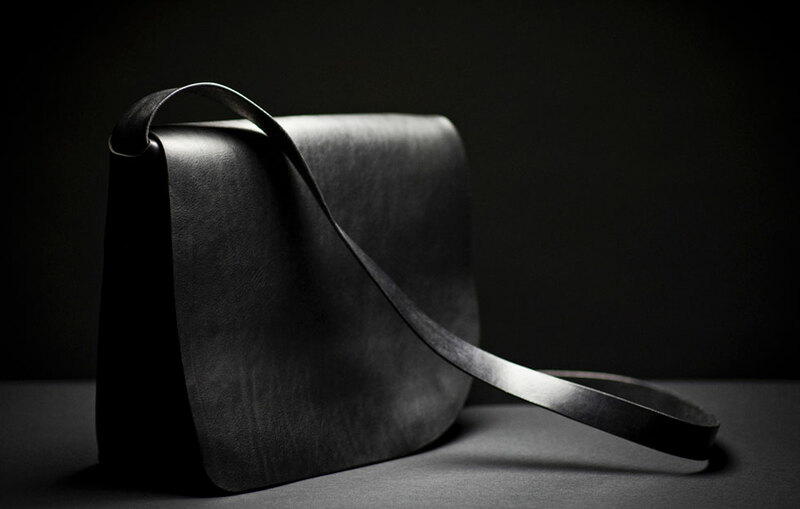 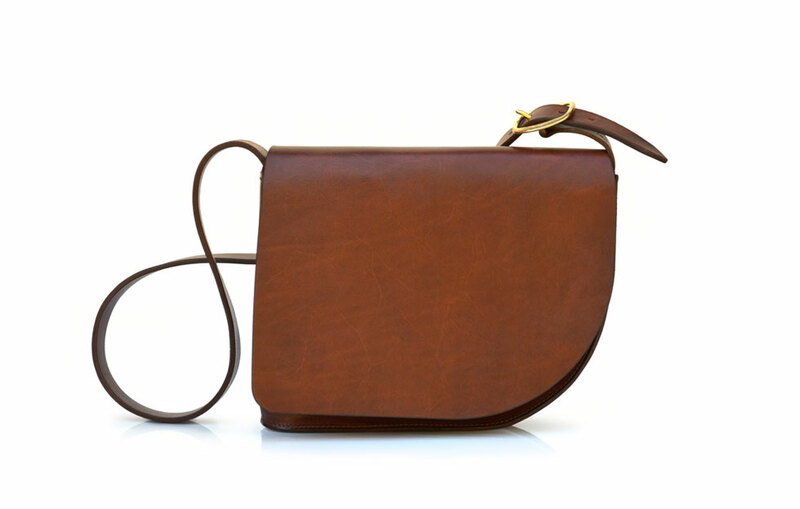 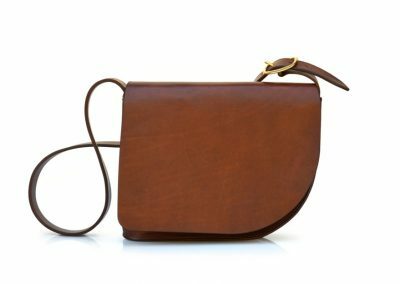 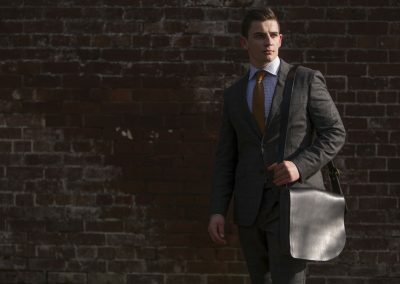 A simple asymmetrical bag; created by a generous wrap of supple leather that forms a handsome curve. 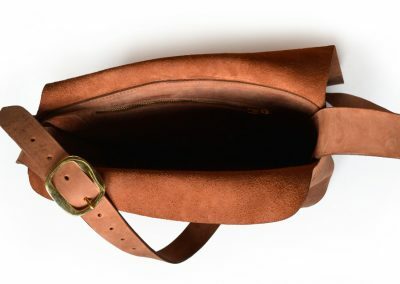 Finished with a full front flap and including a zipped interior pocket. 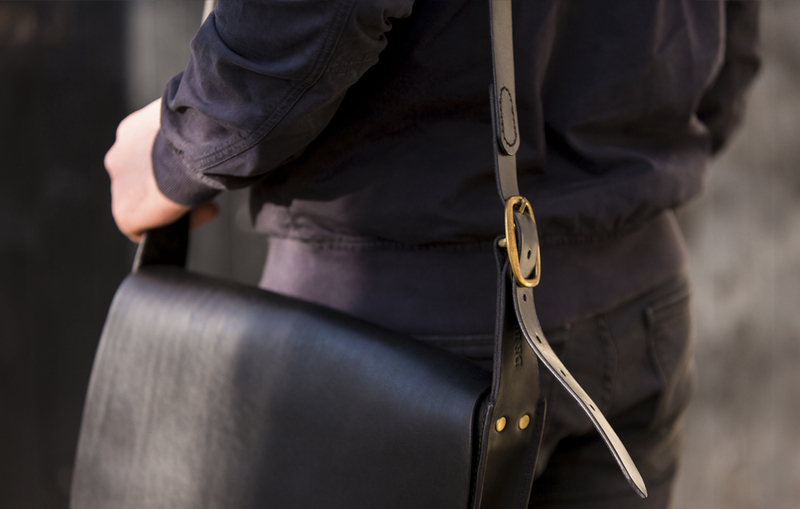 The adjustable shoulder strap makes it ideal for everyday use. 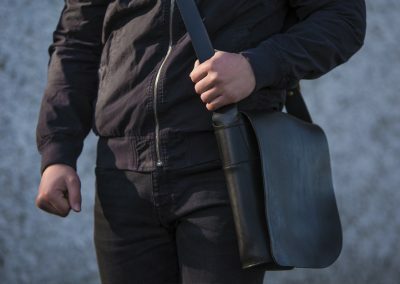 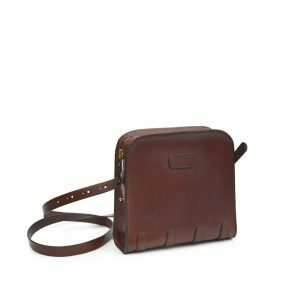 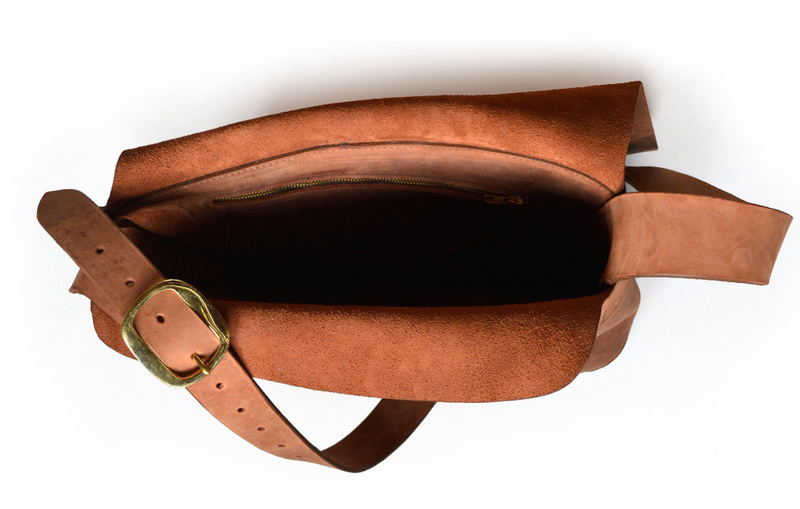 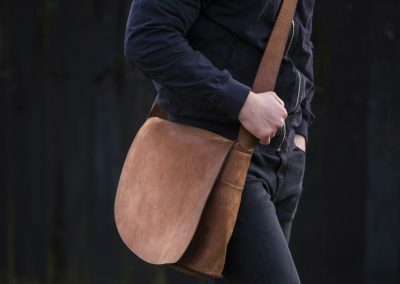 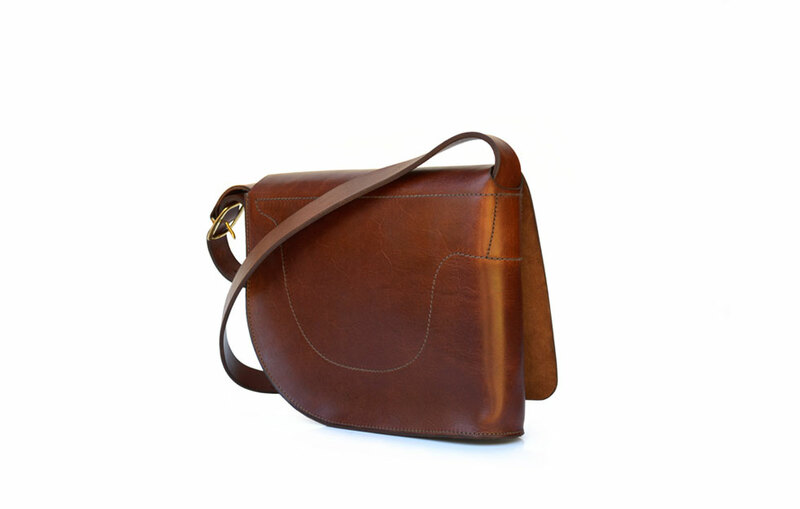 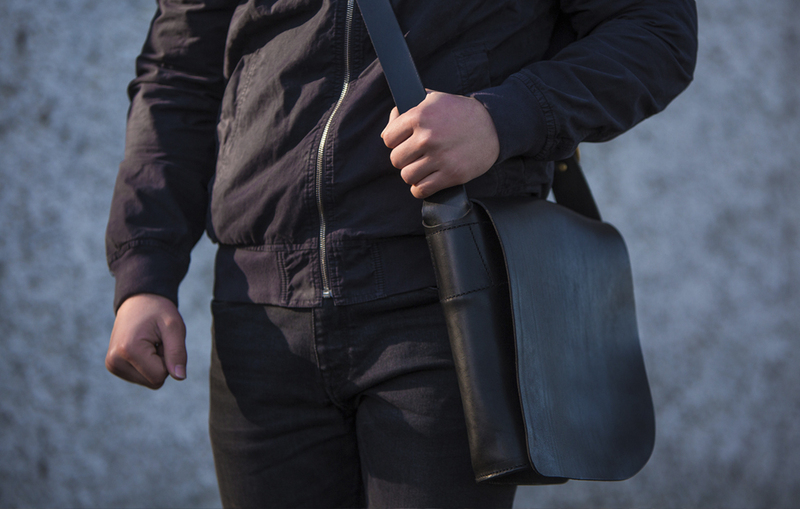 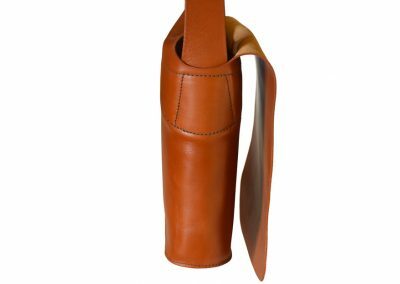 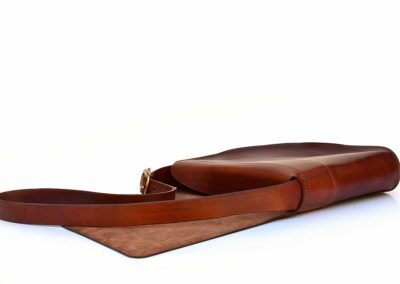 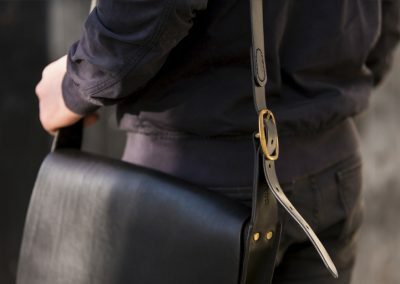 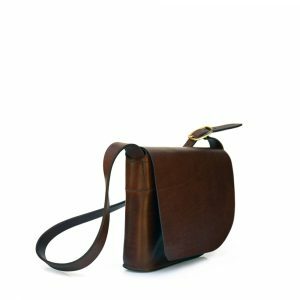 The Saddle Bag is custom made for left and right hand wearers. 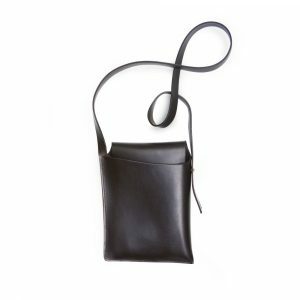 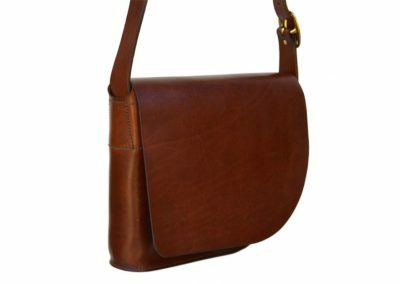 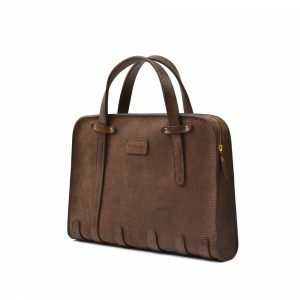 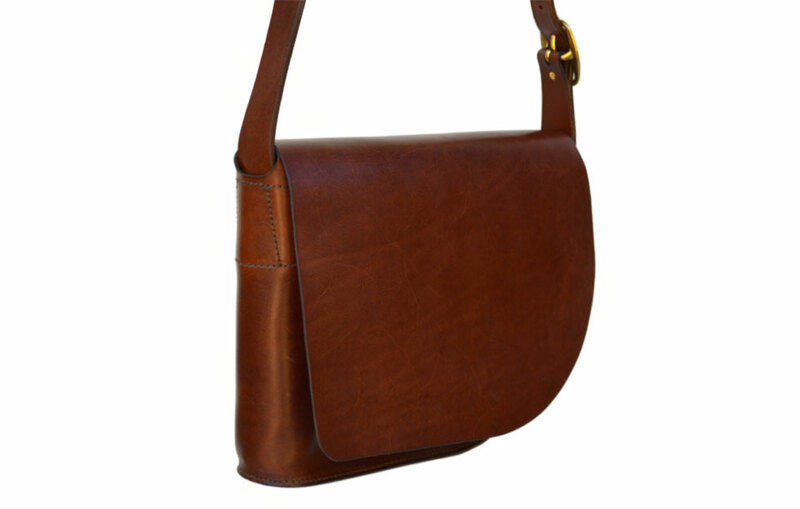 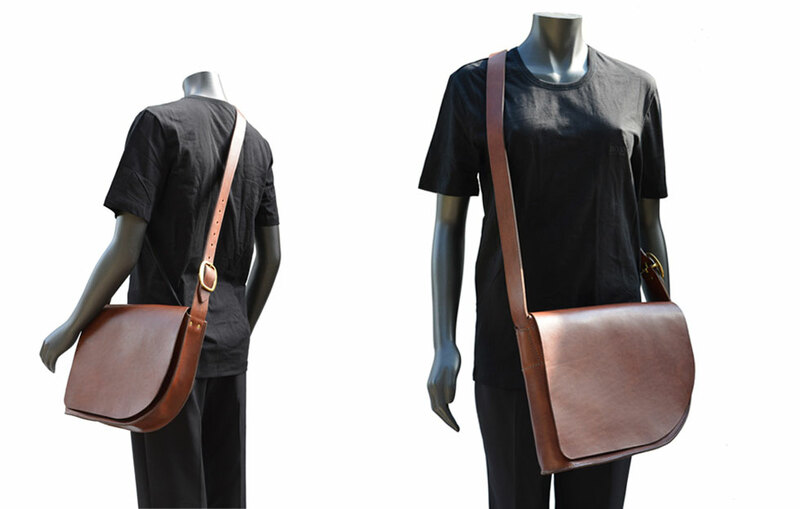 A stylish and functional shoulder bag made in a large wrapped piece of supple leather. 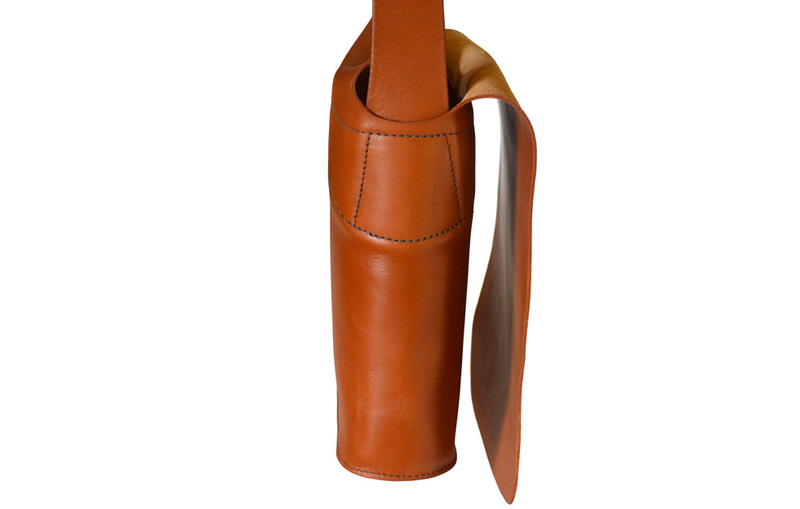 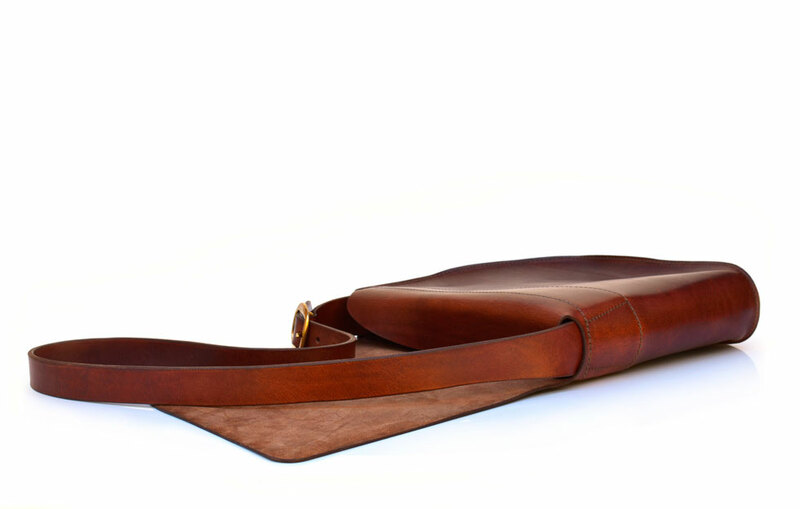 Handcrafted using a robust hand-stitching construction and an inner leather spine to maintain a handsome curve. 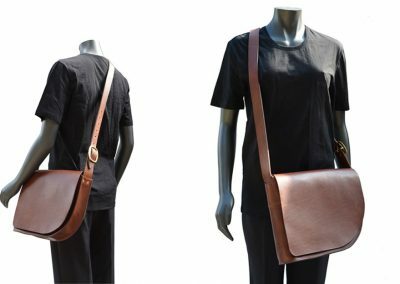 Clean and simple design for everyday wear, features wide adjustable buckle strap, a curved front flap cover and a zipped interior pocket for valuables and small items. 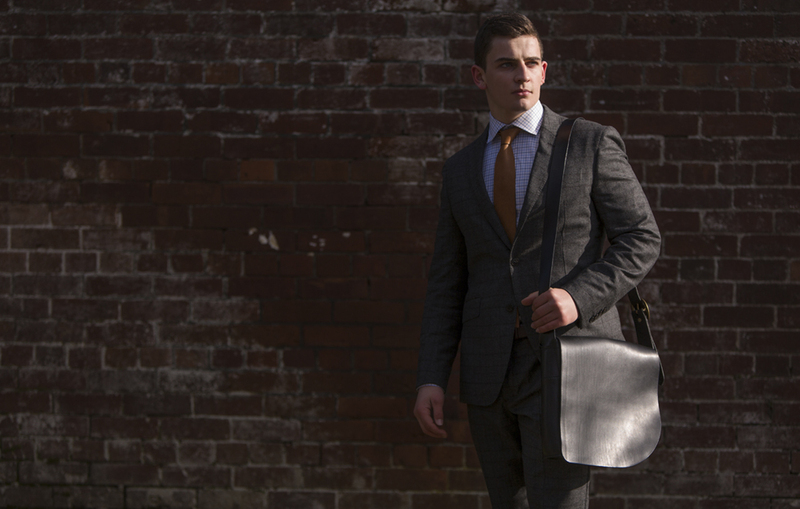 Designed and hand-crafted at our studio in Kildare, Ireland.